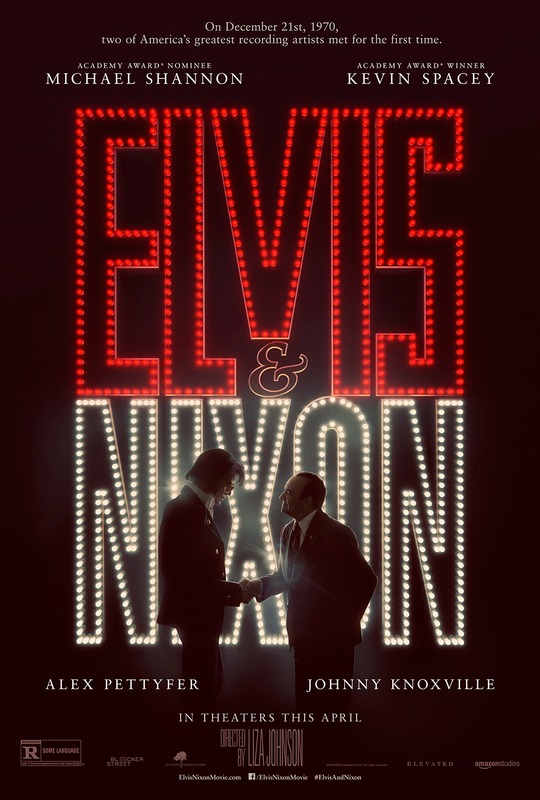 Directed by Liza Johnson, this dramedy stars Kevin Spacey as President Richard Nixon, and Michael Shannon as Elvis Presley, focusing on the meeting between the two men at the White House on December 21, 1970. The bizarre and humorous moment is still the most requested photograph in the National Archives. The cast also includes Colin Hanks, Evan Peters, and Johnny Knoxville.